Android Operating System for smartphone and Google Chrome Browser for Surfing Net were Launched in Same month September 2008 by Google Inc.Every technology Geek must be having Android smartphone and Google Chrome browser for PC. Android Operating System had changed Life of Smartphone Users and covers about 40% of smartphone Market and Google Chrome is one of the Smooth and fastest browser for computer and most popular browser used by Lot’s of people in world. 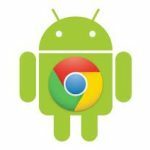 Google is trying to create Google Chrome Browser for Android Platform .Google are trying to replace google default android browser with Chrome web kit Code so it both Google Chrome and Android OS will be connected.This will be like getting Windows machine with Internet Explorer and Android machine with Google Chrome . Chromium revision log indicates Google Chrome will be having most of the features which desktop has,which will make lot’s of user happy while browsing and surfing. 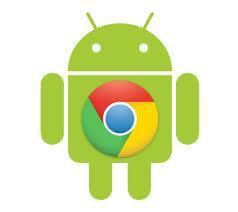 Google Chrome for Android will also support 2D graphics that Google as been working on it.